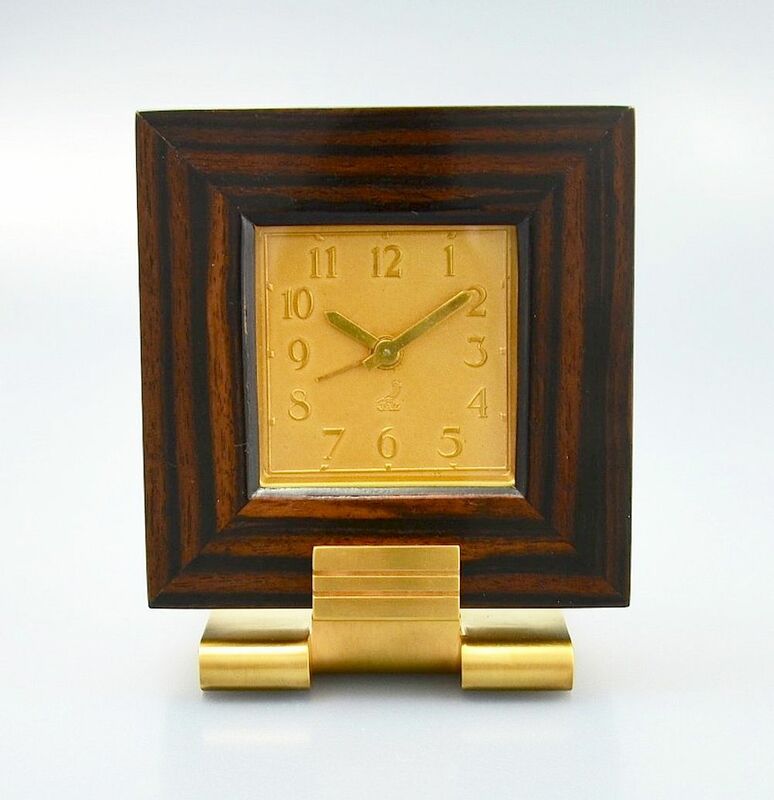 This very stylish French Art Deco alarm clock has a macassar ebony frame and a gilt coloured dial. It is an a ridged gilt metal stand and is marked JAZ on the back. It is working and runs for up to 26hours. The perfect bedside or desk clock.